Discussion in 'Plant ID' started by Vibbers, Jun 14, 2009. I apologize if my flower terminology is all wrong! 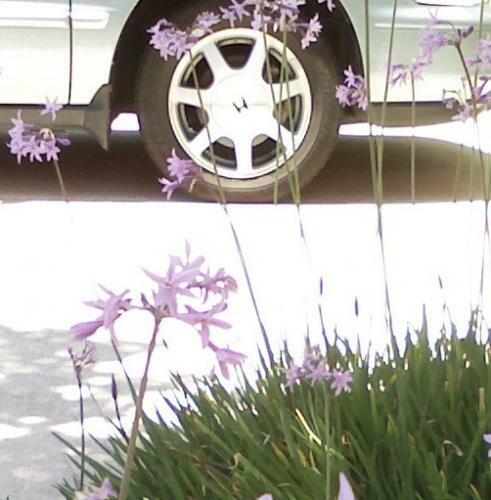 I am a novice but I am trying to figure out what type of flowers these are because my mother really liked them. These pictures are from a cell phone so that might explain the poor quality. We saw them in San Francisco this past week (first week of June). They were lining a driveway. The pictures speak for themselves - the plant has many low leaves with one long stem coming out of it off of which are a number of lavender flowers. 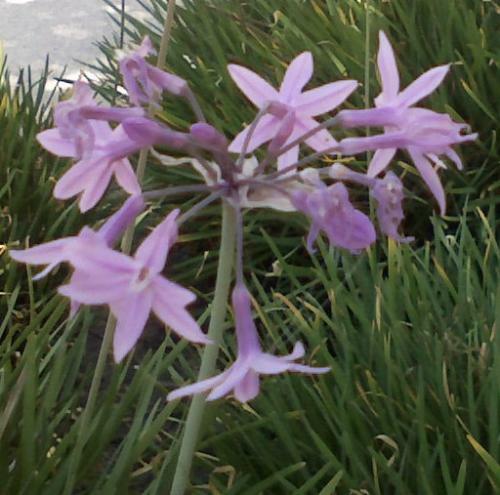 The flowers seem trumpet shaped (?) 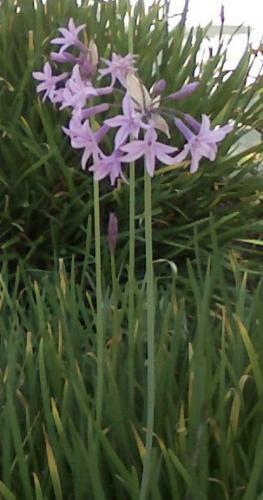 but the petals are sort of shaped like a star at the opening. Ah - Mystery solved. Thank you so much! Glad to be of help, and welcome to the Stew.